After the war, Sunbeam suffered from financial problems, partly from a slump in the motor industry, and partly from non-payment of some of the war contract work. As a result the company amalgamated with Darracq and Talbot in 1920 to form the S.T.D. group (Sunbeam, Talbot, Darracq) with Coatalen in overall charge of design. Clement-Talbot Limited was formed in 1903 to import the popular French Clement car into the UK and from 1905 it started producing UK built cars. Alexandre Darracq began building bicycles in the late 19th century and in 1900 built his first Darracq car. His Paris based company became largely UK financed and in 1919 Talbot was taken over by Darracq. Louis Coatalen became a director and had a seat on the board. 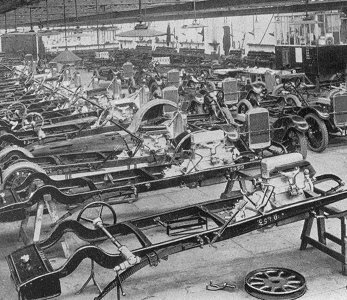 After the amalgamation, production at Wolverhampton continued much as before and Moorfield works continued to turn-out many fine cars. In September 1920 Thomas Cureton retired as Chairman and was succeeded by Mr. James Todd. Sadly Mr. Cureton died in July, 1921. A 24hp. 6 cylinder Light Four-Seater from 1921. Immediately after the war, when trials and racing again started, Sunbeam entered teams in all kinds of events. Tragedy struck in 1919 when Joseph Christiaens, Head of the Experimental Department, was killed whilst road testing one of the company’s racing cars, near to the works. He was speeding along Upper Villiers Street when a horse and cart came out of Fowler Street, causing him to swerve into a wall. Sunbeam mechanic, Frank Bill, his passenger, was so badly injured that he needed crutches for the rest of his life. As a result of his injuries the company gave him a job as storekeeper. 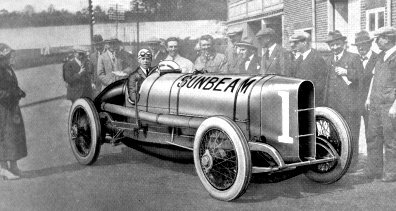 Sunbeam had continued to race in America with modest success and Coatalen designed a new car with a 3 litre, 8 cylinder engine that included all of the latest racing developments. The car made its first appearance during the Easter 1921 meeting at Brooklands where it won the 3litre Scratch Race at 94.64m.p.h. with Henry Segrave at the wheel. Coatalen must have been delighted when the Automobile Club de France staged its first post-war Grand Prix at Le Mans in July 1921. There were only 19 entrants including 7 from the S.T.D. group. 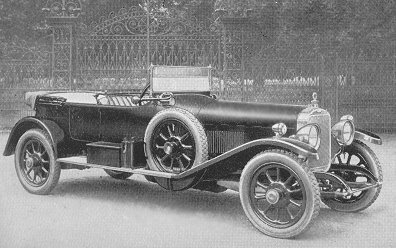 3 Talbot Darracqs were built in France and 2 Sunbeams and 2 Talbots were to be built in the Experimental Department at Moorfields Works, along the same lines as Coatalen’s new 3 litre, 8 cylinder car. Henry Segrave. From "The Greatest Motoring Achievement Ever Recorded" pub. by the Sunbeam Motor Company Ltd. 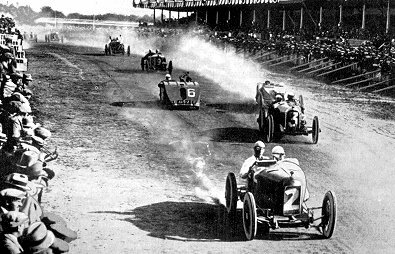 While work on the Wolverhampton built cars was in progress, Coatalen went to a race meeting at Indianapolis, but was horrified on his return in mid June to find that much of the work still hadn’t been done. During his absence there had been a coal strike which had greatly hindered progress on the four cars, and as there wasn’t enough time to complete them before the event, he ordered that none of the seven S.T.D. cars should enter the race, even though they had cost around £50,000 to build. Henry Segrave and Kenelm Lee Guinness who would be driving the two Talbots rushed to Wolverhampton from Paris to try and change Coatalen’s mind. 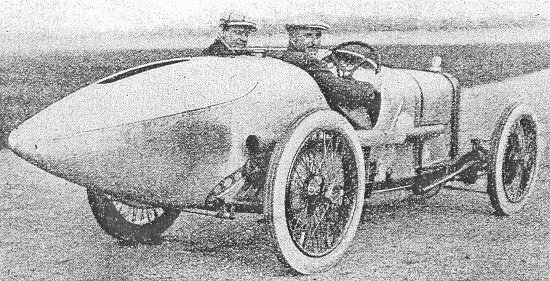 At the same time André Boillot, one of the Talbot Darracq drivers, who had already been practicing at Le Mans refused to return his car to the factory. Under this stiff opposition Coatalen relented and allowed the two Talbots, and two of the Talbot Darracqs to compete, and after a week’s hard work Segrave and Guinness got their cars ready for the race. Unfortunately both Segrave and Guinness suffered from tyre problems during the race and many tyre changes were required. Both cars performed badly. Segrave had to retime the ignition on his car when a set-screw came loose on the distributor and Guinness had to quickly fabricate a wooden plug when the tap on his petrol filter was broken off. A loose stone on the road punctured Segrave’s petrol tank and the hole had to be plugged with cotton waste. Near the end of the race Segrave’s car was only firing on six cylinders and he was lucky to finish at all. In the end Guinness came in 8th and Segrave 9th, a disappointing performance indeed. The two cars were immediately returned to Wolverhampton and rebuilt. The rebuilt cars would soon meet with success. When the RAC set a date for the 1922 3litre car race on the Isle of Man, 3 Sunbeams were entered. They were driven by Kenelm Lee Guinness, who won the last race in 1914, Henry Segrave, and Jean Chassagne. Jean Chassagne's 1922 Isle of Man T.T. winning car. Unfortunately Guinness failed to start because of a slipping clutch, and Segrave was forced to retire when the contact breaker on one of his magnetos disintegrated. 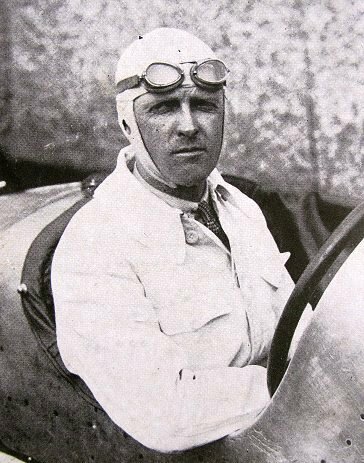 Chassagne’s car performed perfectly and he went on to win at an average speed of 55.78m.p.h., a full 4minutes 9 seconds ahead of Clement’s Bentley. Segrave was awarded the P.J. Evans cup for the fastest lap of the race. At the end of 1921 Sunbeam introduced the 14hp. model, which would remain in production in various forms until 1926 and during that time a total of 1,350 were produced. The car initially featured a lightweight aluminium 1.945litre engine, which in 1923 was increased in size to 2.12litres by slightly increasing the bore. The car then became the 14/40hp. Finally in 1926 a 16hp. engine was fitted and the car became the 14/60hp. but only six were produced. Kenelm Lee Guinness and the 350hp. ‘V12’ aero engined car. Another of Sunbeam’s notable sporting achievements took place on 17th May, 1922 at Brooklands when Kenelm Lee Guinness broke the world land speed record at 133.75m.p.h. in an 18 litre, 350hp. ‘V12’ aero engined car. This was Sunbeam’s first entry into this field and many more successes would follow. New 2 litre, 4 cylinder cars were also built in readiness for the 1922 French Grand Prix at Strasbourg in July. The Sunbeam team consisted of Henry Segrave, Jean Chassagne and Kenelm Lee Guinness. An early view of one of the 2 litre cars. From The Motor, 17th May, 1922. The race covered 499 miles and consisted of 60 laps of the circuit. Unfortunately the new cars did not meet with much success. Segrave retired after 30 laps whilst in 3rd place and Guinness and Chassagne both retired in lap 5 with broken inlet valve stems. One of the cars however performed extremely well at the Brooklands Speed Championship Meeting that was held on September 30th. With Segrave at the wheel, it finished in first place in the 2 Litre Class Race, over a distance of 8.5 miles, at an average speed of 92.38m.p.h. Its fastest lap was at 99.81m.p.h. 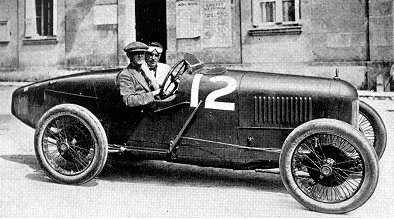 One of Sunbeam’s greatest sporting achievements was in the 1923 French Grand Prix at Tours on 2nd July. The Sunbeam team consisted of Henry Segrave, Albert Divo, and Kenelm Lee Guinness. The 497 mile race was an amazing triumph for the British cars. Segrave came in first, at an average speed of 75.3m.p.h. Divo came in second and Guinness finished in fourth place. Henry Segrave at the wheel of his 1923 French G.P. car. 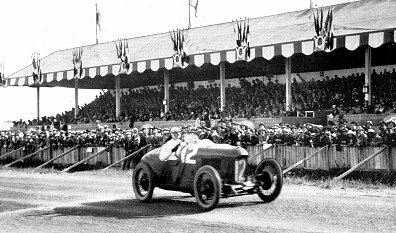 Henry Segrave in action in the 1923 French Grand Prix. This was the first win for a British car in the Grand Prix. In October, Divo went on to win the Spanish Grand Prix at the Autodrome Nacional, Sitges in a time of 2hrs 33min 56s. for the 248.5mile course. His Sunbeam team mate Dario Resta was forced to retire after 150 laps. A final view of the 1923 French Grand Prix. 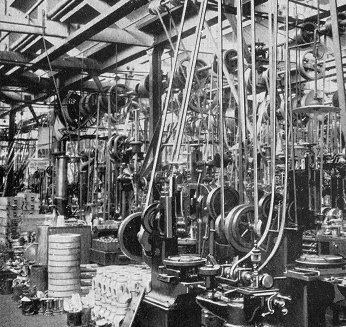 The Machine Shop in 1924. 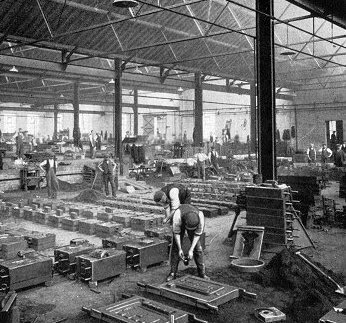 The Chassis Erecting Shop in 1924. From the early 1920s onwards, Sunbeam cylinder blocks were made by Court Works Limited at Madeley in Shropshire. 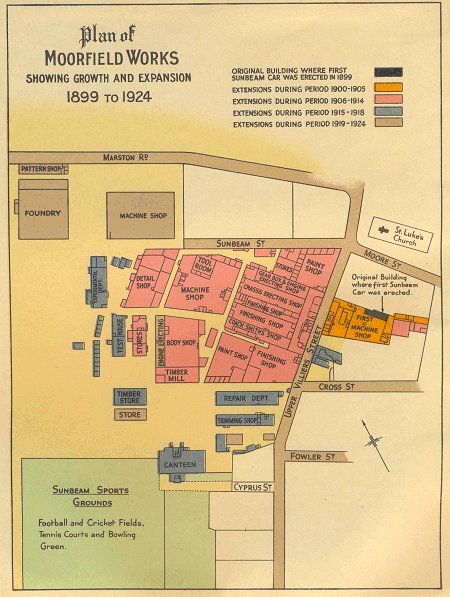 The factory had been purchased by Thomas Parker and his son Charles in 1910. The factory specialised in the production of high quality castings. In 1925 Charles Parker sold the factory to Rootes Brothers, who were Sunbeam's London agents. By 1933 Court Works Limited was a wholly-owned subsidiary of S. T. D. Motors. A Sunbeam 24/60hp. car from 1923. 1925 saw the introduction of the 20/60hp. with a 3.18litre, 6 cylinder engine. The high quality car proved to be successful for the company as 1,560 were built in various forms. Prices varied from £950 for the 5-seater Tourer to £1,275 for the Landaulette. The car remained in production until 1927. A 20/60hp. 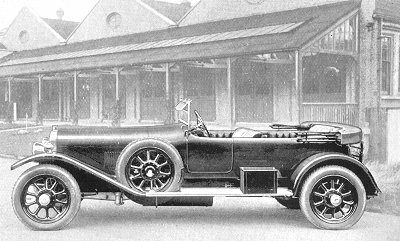 Limousine from the 1925 Sunbeam catalogue. It was priced at £1,250. A 14/40hp. Sports Model from the 1925 Sunbeam catalogue. It was priced at £750.